OVER $600 MILLION LEFT UNCLAIMED IN AUSTRALIAN BANKS & SUPERFUNDS. PUT YOUR CLAIM IN NOW. It seems some of us don’t even bother to collect what’s ours, with new figures showing there is a record high $636 million in unclaimed money in Australia. Among the largest parcels were $992,750 in a Perth individual’s bank account and $718,151 belonging to a Melbourne-based “lost shareholder” of grain seller Australian Wheat Board Pty Ltd, which was taken over last year. You could perhaps be a relative or other type of beneficiary entitled to one of the 975,231 money parcels the Australian Securities and Investments Commission (ASIC) has on its database. People can search for themselves for unclaimed money via ASIC’s MoneySmart website, ASIC’s Delia Rickard said. “There is more money in the unclaimed money pool than ever before, so even if you’ve already searched, you should look again,” Ms Rickard said in a statement. The average parcel of money was $652 and last year Australians recovered $62 million, she said. Those with unclaimed money include: people not making a transaction on their cheque or savings account for over seven years; stopped making payments on a life insurance policy; moved without leaving a forwarding address; have noticed that regular dividend or interest cheques have stopped coming; or were executor of a deceased estate. Log into ASIC’s free online database at www.moneysmart.gov.au, follow the link to unclaimed money, and type in your name. You might think anyone would jump at a $6 billion offer from Google, but Andrew Mason, founder of Groupon, amazingly rejected such a bid from the search giant to buy his online coupon business. The 30-year-old founder and chief executive officer of Groupon, a Chicago-based internet-coupon service with more than 35 million users, walked away from an acquisition offer from Google, said a person with knowledge of the matter. The proposed acquisition fell through amid hesitation by Groupon’s founding team, said the person, who requested anonymity because the talks are private. The start-up will decide next year whether to sell shares in an initial public offering instead, the person said. The discussions could resume if both sides overcome their differences. It prompted CNNMoney.com to publish a video interview recorded two months ago with Mason that was cut from the final version. In it, Mason was asked if the company had ever had any buy-out offers. “I’m hoping that McDonald’s or Exxon tries to buy us – like someone totally weird,” he responded. Google had offered $US6 billion, including incentives that would be paid to Groupon’s managers if performance targets were met, people familiar with the matter had said. Groupon would have helped its new owner expand in the $US133 billion local-ad market and lessen its reliance on internet-search advertising. “Clearly Google wants to get into the local space and Groupon was one way,” said Aaron Kessler, an analyst at ThinkEquity in San Francisco, who has a “buy” rating on Google and does not own shares in it. Mason had the biggest say in the decision as the largest shareholder, said another person familiar with the talks. He had concerns about the strategic direction the company would take under new management, the person said. Mason was also concerned about what could happen to merchant relationships and his employees, the person said. Google chief executive officer Eric Schmidt was willing to pay almost twice the $US3.2 billion he spent on DoubleClick, his next-most expensive target, to add features and repel a threat from such rivals as Facebook. Jill Hazelbaker, a spokeswoman for Google, said the company did not comment on rumours or speculation. Julie Mossler, a Groupon spokeswoman, also declined to comment. Google, which boasts $US33.4 billion in cash and marketable securities, had initially offered between $US3.5 billion and $US4 billion to buy Groupon, a person familiar with the matter has said. The start-up, which was also contemplating raising new venture funding, held out, eliciting a sweetened offer from Google, the person said. The Chicago Tribune initially reported Groupon’s rejection. Groupon’s allure has rubbed off on lookalike coupon sites. Amazon.com said on December 2 it invested $US175 million in LivingSocial.com, another provider of daily online deals. Founded by Mason in 2008, Groupon has attracted 35 million users in more than 300 global markets by offering steep discounts on such items as pedicures, hotel stays and bike tune-ups. The company makes money by keeping part of the revenue raised by the coupons. 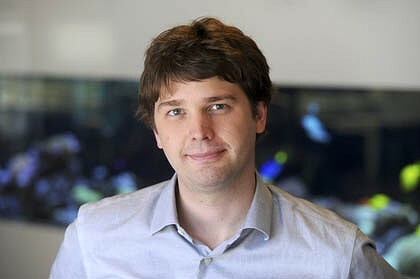 Groupon’s sales may top $US500 million this year, two people familiar with the matter have said. Groupon had a valuation of about $US1.3 billion in April, after Digital Sky Technologies led a group that invested in the company. It has raised $US170 million from investors, including Facebook backer Accel Partners and New Enterprise Associates. Google could have used Groupon to gather data on consumers as they interact around the time of a purchase, and then use that information to hone other products, including ads, said Ben Schachter, an analyst at Macquarie Securities Group. “Locally focused e-commerce transaction data tied to one’s Google account could be used to improve personalisation of other Google features as well as improve ad targeting,” Schachter, who rates the stock an “outperform”, wrote in a research note. Google could also have incorporated Groupon coupons into the location-based services of its Android mobile operating system, said Yun Kim, an analyst at Gleacher & Co in New York, who rates the stock “neutral” and doesn’t own it. For example, as an Android user passes by a mall, Google could deliver coupons for nearby stores. Still, Groupon was an unusual acquisition target for Google, which tends to buy companies that boast a technological advantage, such as online video, as was the case with YouTube. To distinguish itself from lookalikes, Groupon plans to test new features that let businesses easily create deals through an online service called Groupon Stores. The company is also testing a feature called Deal Feed that lets users track favourite businesses as they might on blogging site Twitter. Regulators would probably have scrutinised the planned acquisition of Groupon to ensure it doesn’t harm consumers. “People are going to be concerned about what happens when you link Groupon’s daily-deal services to Google search,” said Dan Wall, an antitrust lawyer and partner at Latham & Watkins in San Francisco.